This year, just in time for Easter and the new Pope, there has been a lot of talk about the Shroud of Turin. There is a new TV show, book and now, thanks to the wonder of mobile technology, an app you can download so you can look at high resolution images of the shroud (more HERE). Although the Turin Shroud is perhaps the most famous example, there is of course a long history of images of the face of Christ. I personally remain skeptical. 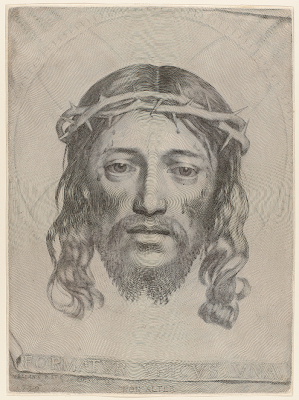 However, there is one particularly remarkable image of the face of Christ that even a skeptic can appreciate - it is an engraving created by the French engraver Claude Mellan (1598-1688). 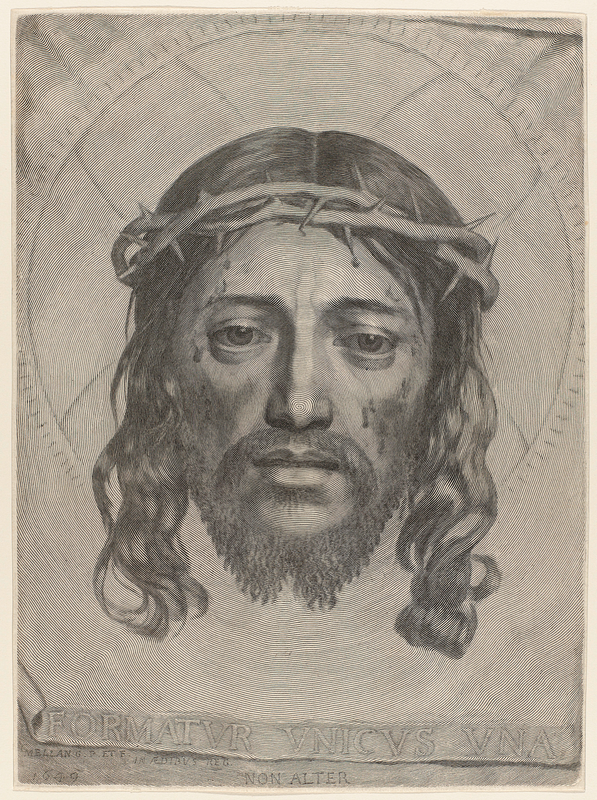 Mellan was known for his unusual technique that used parallel lines of varying thickness to create light and dark in the image rather than the more traditional engraving technique of cross hatching with lines of equal thickness. 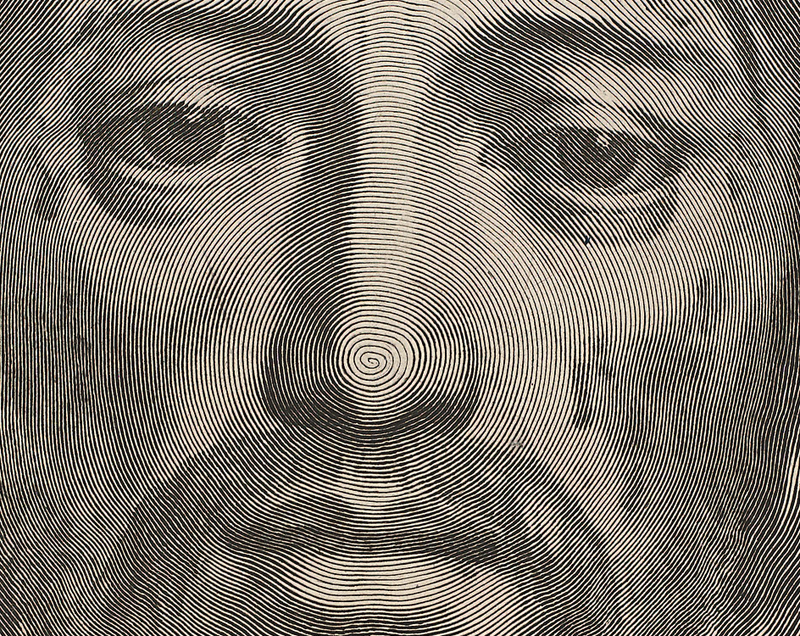 The most famous of Mellan's engravings is an image of Christ's face known as the Sudarium of Saint Veronica, which was engraved by Mellan in 1649. The whole image is created by the unfolding of a single line that spirals outwards from the tip of Christ's nose. The contrast in the image is created by varying the thickness of this single line and the distance between lines. Below is a close up of the centre of the unfolding spiral.